How to transfer from PC/Mac computer to iPhone X/8? This step-by-step tutorial will show you the simplest way of transferring files/data from PC/Mac computer to iPhone X/8. Download this best iOS data transfer tool to transfer files like photos, songs, videos, iBooks and more from PC or Mac computer to iPhone in minutes. In September, Apple will release the newest iOS 11 and the new generation of iPhone. Are you planning to upgrade to the newest iPhone X/8? Anyway, no matter you want to get an newest iPhone 8 or an iPhone X, you’ll have many things to do like set up your new iPhone, copy data from old iPhone to new iPhone, sync data from iTunes to new iPhone, import SIM contacts to new iPhone, restore iPhone from iTunes or iCloud backup, and transfer data or files from your computer to iPhone, etc. Well, this guide is going to share you an easy way about how to transfer from computer to iPhone X/8. When it comes to transferring from computer to iPhone, most iOS users used to using iTunes, but it is known that it will wipe previous data on your iPhone. 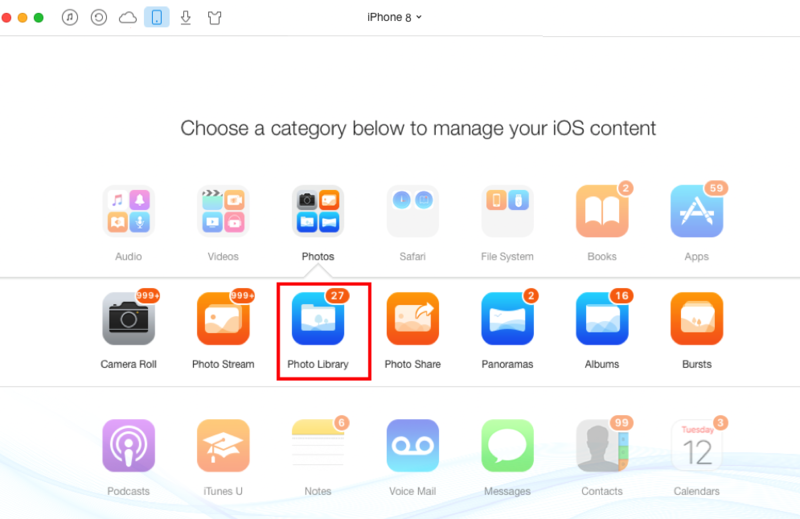 Moreover, in some cases, it may not allow you to sync data, for example, when you turning on iCloud photo library. Therefor, with so many limits, obviously, iTunes is not the most convenience computer to iPhone transfer tool. Is there any better option? The answer is YES. An iTunes alternative - AnyTrans, is your best option. Supports both PC and Mac computer, and works well with all iPhones, iPads and iPods. It enables you to transfer more than 20+ types of iOS data like contacts, photos, videos, playlists, music, ringtones, iBooks, calendar, notes, etc. It allows you to transfer data in multi-direction, you can use it to transfer from computer to iPhone, and also from iPhone to computer/iCloud/iTunes, from iCloud to computer/external hard drive, from iTunes to iPhone, end even from iPhone to iPhone, from iCloud to iCloud. It provides shortcut and selectively transmission that is mean you can transfer all data of a certain type at once, as well as transfer only several items of a type of data like one picture or two songs. It guarantees super fast transfer speed and absolute data security that without any data loss. You can see, it is just the ultimate tool you’re looking for. Now, download AnyTrans and follow steps below to transfer files from PC & Mac to iPhone X/8. Step 1. Install and launch AnyTrans on your PC or Mac computer. Then connect your iPhone to computer. 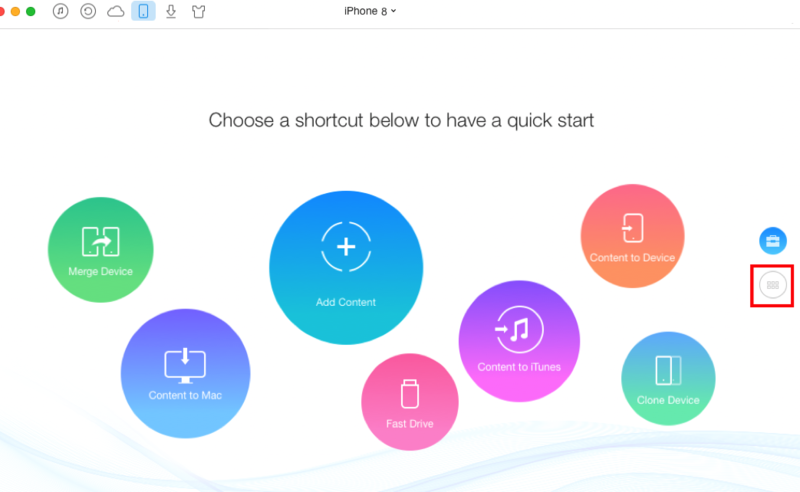 You can click Add Content to quick start transferring data to your iPhone, or you can scroll down to the category management page and add content by category. Step 2. On this page, there are many data categories, here take photos for example. Click on Photos and select Photo Library. Step 3. Click on “+” button, browse and select the pictures you want to transfer from computer to iPhone. Here, we select 12 pictures, then click on Open. It will start transferring selected pictures from computer to iPhone. 1. Please don’t disconnect your iPhone before the content transferring process finished. 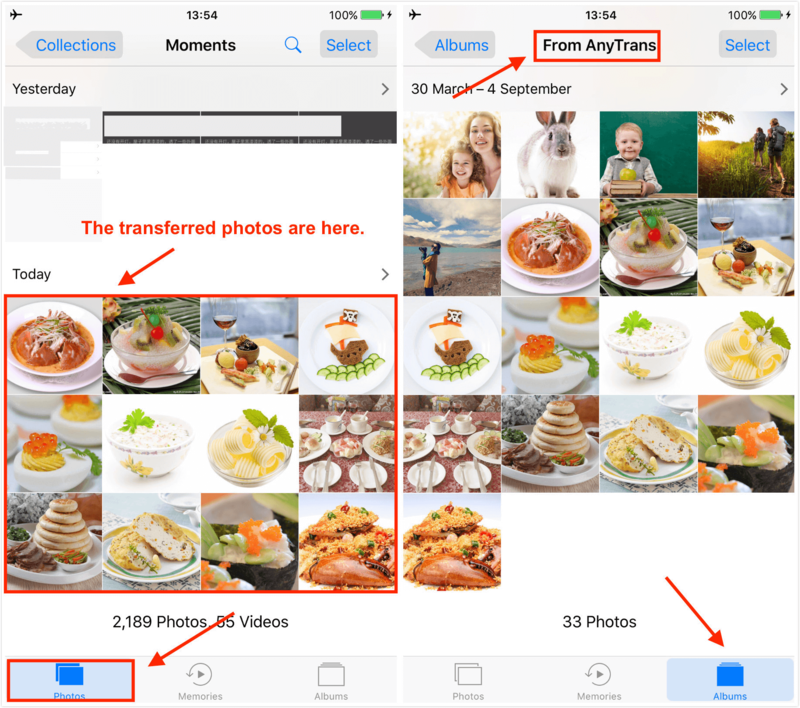 After successfully transferred selected photos, now, check these photos on your iPhone. 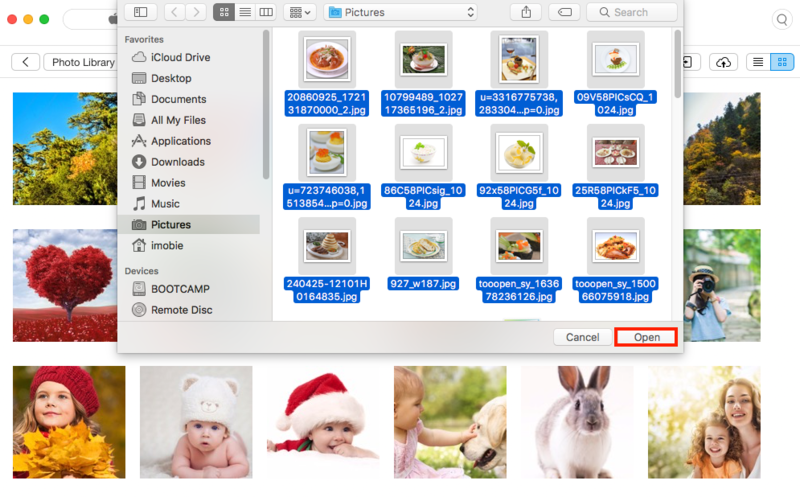 Open the Photos app on your iPhone, you can see the 12 transferred pictures are already on your iPhone now. Also, you can see these photos from the album named From AnyTrans. For using a new iPhone in a better way, it is necessary for you to learn about some iPhone maintain tips & tricks, battery life saving tips, and how to speed up iPhone and free up space on iPhone. After learning about how to transfer PC/Mac computer to iPhone with AnyTrans, you can see sending data or files from computer to iPhone is not difficult to handle. You can make it with just 3 steps. And as mentioned before, you can use AnyTrans to transfer other 20+ types of data, and in multi-direction. So, why not have a try on AnyTrans?